The best way to learn about a software is by looking at some real-world data. Therefore, we provide you here with a a great example. 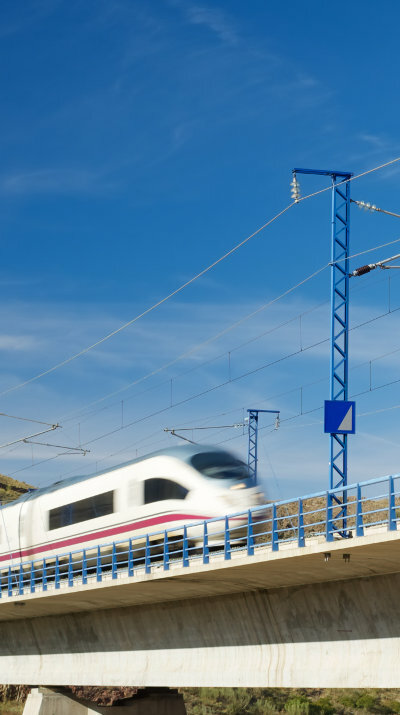 The ReqIFz Archive found here is based on a public standard document, it is part of the ERTMS Subset-26, a standard for train control systems. You don't need to understand the technical details, but it is full of stuff that we need for a good demo: Lots of requirements, figures, traces and the like. The ReqIF model was generated from a Word document, which is also included in the archive. The converter was developed by the publicly funded openETCS project. The rest of Subset-26 has been made available by the author of the converter, Moritz Dorka. Download the demo file via the "Download" button above. We recommend to uncheck "Remove tool Extensions". Open the project in the project explorer and double-click on chapter3.reqif. 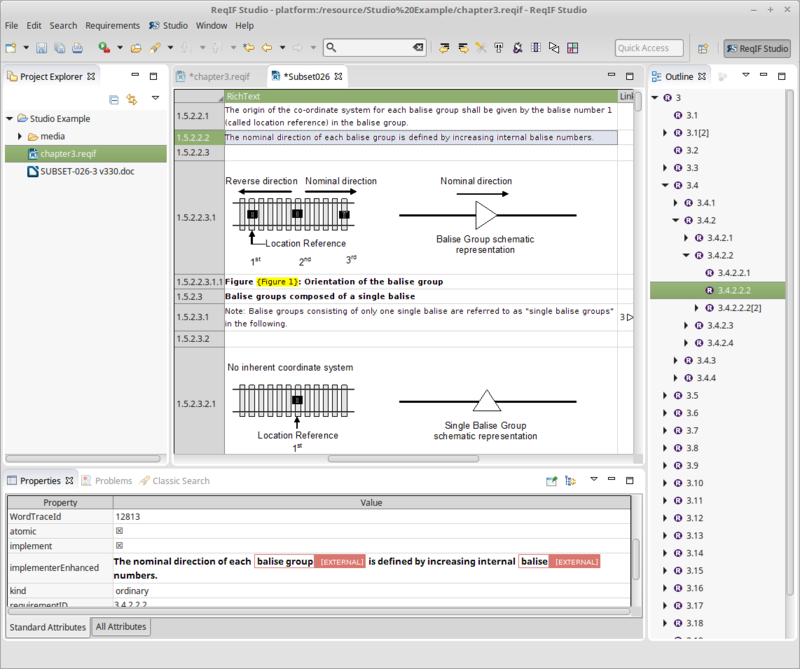 The following screenshot show ReqIF Studio with the example file opened.